Over 15 years of Internet Marketing experience and results! We know you were just searching the web for someone who could help you achieve your Search Engine Optimization & Internet Marketing goals, right? Click Here and let us bring new clients to you too! Did you know that over 19 BILLION searches were performed in July of 2013? In this day and age, it's not enough to simply have a web site or a site with a nice web design! The saying "if you build it, they will come" does not hold true for most. Infinitely worse for your bottom line is not having a website at all. In today's competitive marketplace, having a successful web site means working with an internet marketing and search engine optimization company that really knows how to tap into the tremendous marketplace called the World Wide Web. It takes experience and know how to make your site rank at the top of the search engines... we've got both! Ready to Get Started? We're Ready to Help. 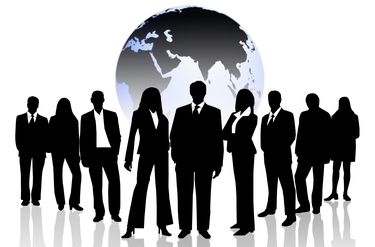 Don't be fooled by SEO newbies or sales people that outsource overseas. True online success demands you work with an internet marketing and search engine optimization company that really knows what they are doing and who knows how to tap into the vast marketplace of the World Wide Web. Select from our carefully designed and customized SEO Programs or our SEO Certification Training Workshops which contain all the resources you'll ever need for your online growth and success. Based in Tampa, Florida, the team at Starship Internet Marketing Services can help you and your staff make sense of SEO and Internet Marketing. Our in-house designers are Certified Search Engine Marketers and seasoned graphics designers. Starship's experienced Internet Marketing, Web Development and SEO Training team offers your company plenty of options when it comes to deciding on our search engine optimization program or SEO consulting services. We're here to help you realize your online business dreams. Making the investment in your web site pay off? Do you know the key to having a truly successful web site? Well, in order for your web site to work great, and not just look great, it's vital that it be designed with the search engines in mind AND that it is found at the top of those engines when people search for the products and services you sell! Remember... it does not matter how great your site looks or how much product you have to sell if no one can find your site in the first place. 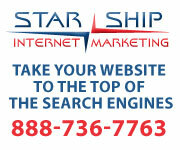 Starship Internet Marketing Services offers a variety of search engine optimization, web site design, and SEO training services that will provide you with everything you'll need to make your web site a success. Better yet, our internet marketing programs are performance based so we don't get paid unless we do the job right. 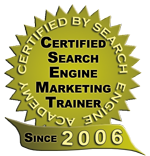 To top it off we have an experienced SEO certified staff and a proven SEO consulting team. We can also work with your existing web designer or search engine marketing staff to help your business gain that extra edge. Do you think of your website a business expense rather than a profit center? Are you planning to optimize your web site AFTER your web designer is "finished"? Would you prefer a web site that worked hard for you rather than feeling like it just "Sit's There"? Would it be exciting to see your web site appear at the TOP of the search engine listings when consumers search for the products and services you sell? Would it be a pleasant change if your website could help you grow your business by providing you with a steady stream of new leads and qualified sales? If "YES" continues to be your answer, don't you owe it to the success of your business to give us a call and discuss your needs? we'll even pay for the call. Call us Toll Free at 1-888-736-7763 for your FREE consultation. Get found on the Search Engines starting today! Read more about our SEO optimization techniques. For additional information about our internet marketing and web design programs, or to speak to a representative about any of our Tampa SEO services, please call Starship Internet Marketing Services today toll free at 888-736-7763 or email us. Preferred Vendor in the Tampa, Florida Web Design Services Directory at Marketingtool.com. Starship Internet Marketing Services is pleased to announce the 7th anniversary of the opening of its SEO training program at the Tampa SEO Training Academy, a Search Engine Optimization Training and Consulting company. have used this incredible trainng program in Tampa, Florida to acquire insider SEO skills, tactics and techniques by attending these hands-on SEO training seminars offered by industry veteran Steve Scott. Based in Tampa, Florida and serving the USA!